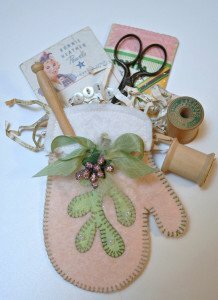 Strawberry Patches owner Suzanne Zingg loves to put her creative touch on special gifts for her sewing machine club. 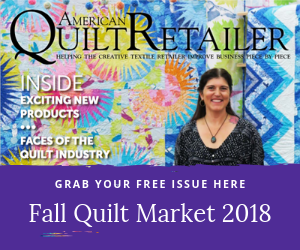 In the April 2015 issue of American Quilt Retailer, we shared some tips from Suzanne about how to make your customers feel special. There were lots of photos to share and we’ve included more in this blog. 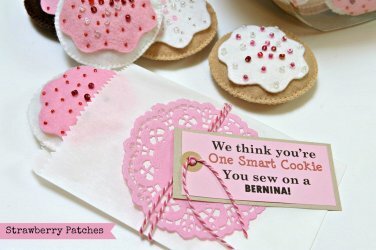 When she’s deciding what to make as a party gift, she often incorporates new techniques and tools to broaden their knowledge. But the party favor is often so cute that the customer ends up keeping them for a cherished memento of their club meeting. 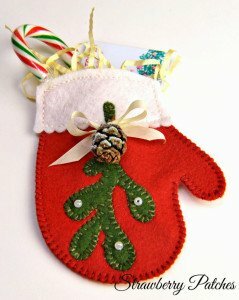 The mitten gift card holder is perfect in traditional reds and greens, or a softer pink and sage green combo. 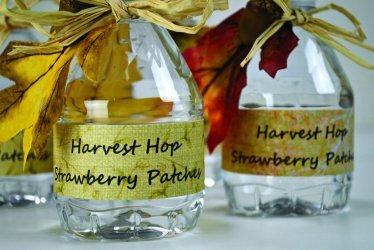 Bottled waters are dressed up with a label, some raffia and a leaf. Cookies never looked so yummy sprinkled with beads. 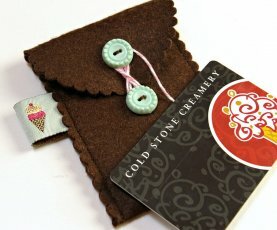 When the holidays come around, everyone is looking for ways to spruce up the traditional gift card. 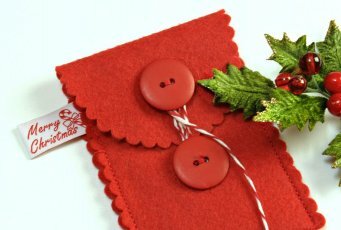 Suzanne did that with simple style in this gift card holder. 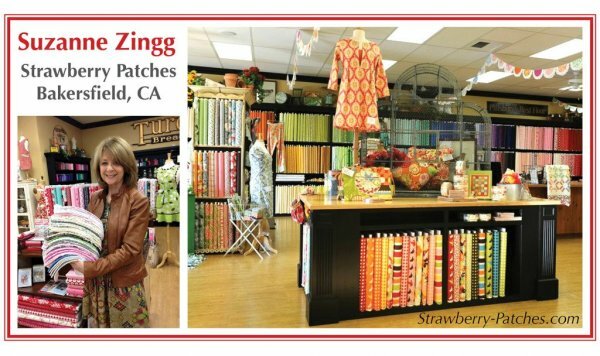 Learn more about the creative power-house, Suzanne Zingg and her beautiful shop Strawberry Patches at www.Strawberry-Patches.com.